Summer session opens for enrollment on May 10th! Passion to Paid is a 5-week creative bootcamp on how to create a killer passion project that will kickstart your career! Side projects are without a doubt the #1 reason I was able to grow my business as a freelance illustrator and find success at a young age. This guided course is meant to inspire your best ideas, kickstart your freelance career, and motivate you like never before. If you want to start a passion project but don’t know where to begin, click here to learn more! Want to learn how to letter like me? 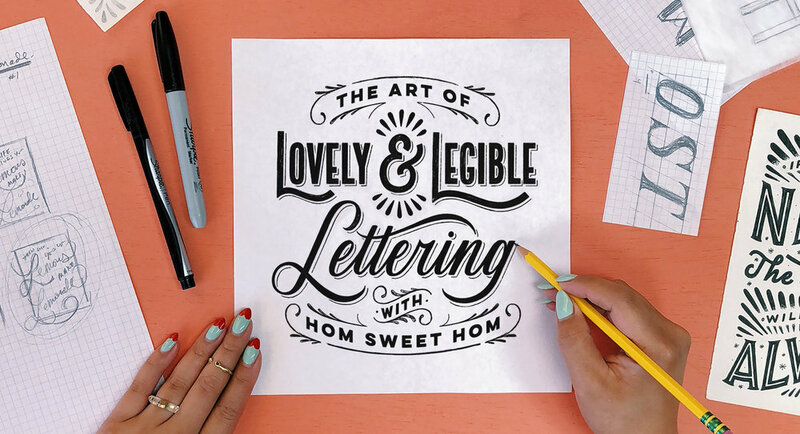 Join me in The Art of Lovely & Legible Lettering, an online workshop packed with over 4 hours of lettering tips, tricks, and live instruction! This class is like pulling up a virtual seat next to me in my studio for an entire day. I’ll be teaching you my entire lettering process, all the way from pencil sketch to inked drawing to digital editing. I created this class to give aspiring hand letterers all of the tools and tips that I wish I had known when I started out. Regardless of your current skill level or where you’re at now, this class will help you to get excited about your next steps. This comprehensive class will be open year-round, so click here to sign up and start lettering today! Spice up your space with chalk! Join me for a fun 40-minute Skillshare class on bringing chalk murals to life. You'll go behind-the-scenes with my process and learn tips for preserving, fixing, and flourishing your work. Chalk murals can make a space more inviting, and they give you an opportunity to change up decor and show off your personality. Plus, chalk is an inexpensive and approachable medium — all you need is chalk, a bit of chalk paint or chalkboard, imagination, and you're ready to create! By the end of this class, you'll be able to convert a small notebook sketch to a large-scale lettered piece. This class is all about creating large-scale lettering art by hand. It's perfect for lettering artists and illustrators, enthusiasts, and everyone who wants to bring custom artwork into their home! Sign up here.